For the Rolling Stones 1965 was a very busy year that saw them build upon their success from the previous year. 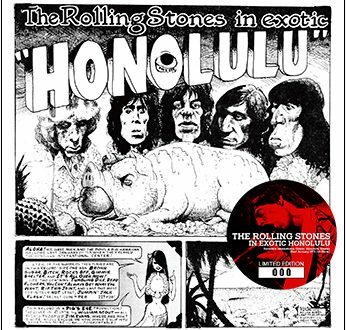 The second UK LP The Rolling Stones No. 2 was released in January 1965 and went to #1 on the album charts while the US version, released in February as The Rolling Stones, Now!, went to #5. Their first original song “The Last Time,” released in February, hit #9 in the US and their first international #1 “(I Can’t Get No) Satisfaction,” recorded in May 1965 during the band’s third North American tour was released as a US single in June 1965 and spent four weeks at the top of the charts. The US version of the LP Out of Our Heads was released in July 1965 also went to number 1 and included seven original songs. Their second international #1 “Get Off of My Cloud” was released in the autumn of 1965 followed by another US only LP December’s Children. Olympia ’65 gathers four radio broadcasts from this year in excellent sound quality. There is nothing that has not been out before, but Godfather did a very nice remastering job on these tapes. With the disc running at 65:10 they could have included other material, but that is a very minor complaint given the high quality of this release. The French radio Musicorama recordings and broadcasts are some of the best early Rolling Stones live material available. Their importance and collectability are proven by the sheer amount of releases and re-releases of these tapes. Vinyl Gang ALONE released this material no less than five times (Andrews Rolling Stone Gathers No Moss (VGP-101) to Reelin’ And Rockin’ (VGP-274)). To list and analyze every release would be an exercise in futility. Suffice it to say that the early releases of these tapes are judged to be fair at best. The April 18th, 1965 has the Stones emphasizing cover tunes. Sound quality for this tape is excellent, balanced and complete. It is apparent the source is from radio because there is evident compression. Someone has suggested that some of the tunes were edited in from an inferior source, but it doesn’t sound it. It’s very consistent in quality with the exception of some of the breaks between songs and the final track “Craw-Dad” which sounds inferior to the rest of the broadcast. The tape begins with a fragment of the Solomon Burke classic “Everybody Needs Somebody” which segues into “Around & Around” and the band deliver a very fun and enthusiastic set. “All Over Now” has the crowd singing along and “Little Red Rooster” contains great slide guitar by Brian Jones. In “I’m Alright” Mick has the audience in a frenzy! It interesting to hear the Stones in mid sixties radio friendly pop-blues form playing a lot of bouncy, happy, snappy tunes. The “Top Gear” broadcast is excellent sound quality. It was recorded on March 1st and broadcast on the BBC on March 6th. Four songs were recorded: “Down The Road Apiece,” “Everybody Needs Somebody To Love,” “The Last Time,” “If You Need Me” but the tape has only three. Two of the songs are covers and the last song on the broadcast is their first number one original hit. 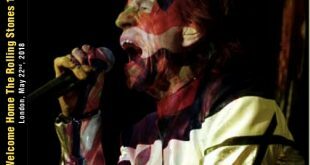 There is a forty-five second long interview where Jagger and Jones speak to host Brian Matthew. They speak about the motivation to achieve more world wide success and their hope that the Stones would last for a long time. The final two segments of this release come from the same BBC session but from different broadcasts. 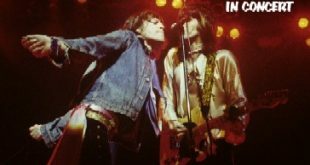 It was recorded on August 20th in London, right when their second original song “(I Can’t Get No) Satisfaction” became a hit. “Yeah! 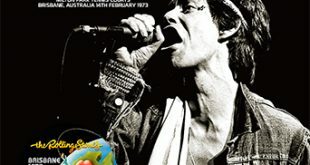 Yeah!” was broadcast on the BBC ten days after the recording on August 30th with “Mercy Mercy,” “Oh Baby,” “Satisfaction” and “The Spider And The Fly.” Host Tony Hall interviews Jagger between the songs and he reveals interesting pieces of information about the superiority of America’s studios. The final section is two songs from the “Saturday Club” broadcast on the BBC on September 18th. 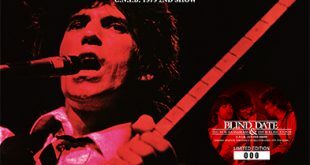 Hosted by Brian Matthew, they rebroadcast two songs, “Satisfaction” and “The Spider And The Fly,” and included two songs that were not broadcast on “Yeah! Yeah!,” “Cry To Me” and “Fanny Mae.” Both of these tapes are in excellent sound quality. 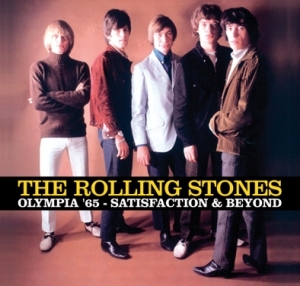 Olympia ’65 – Satisfaction & Beyond is packaged in a tri-fold gatefold cardboard sleeve with extensive liner notes. Godfather issued a great release with this and is worth having. A excellent addition to my early Stones collection with official sound quality and great performances. The colorful booklet is a great bonus!!! The sound quality of this release is really outstanding as is Godfather Records usual attention to detail in the packaging department. A must-have release for Rolling Stones collectors in my opinion.